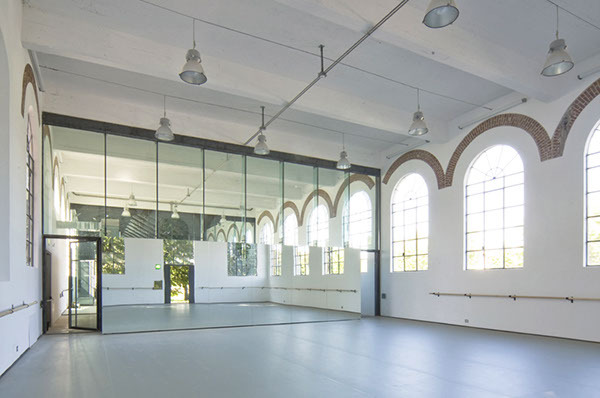 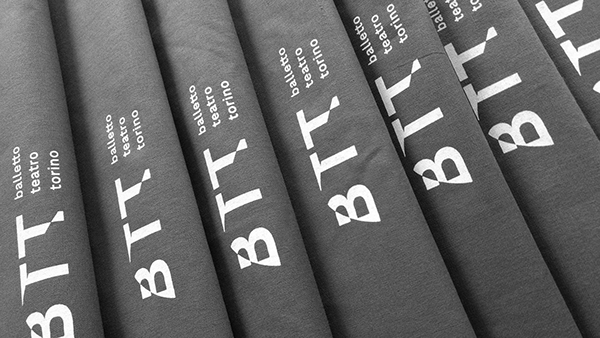 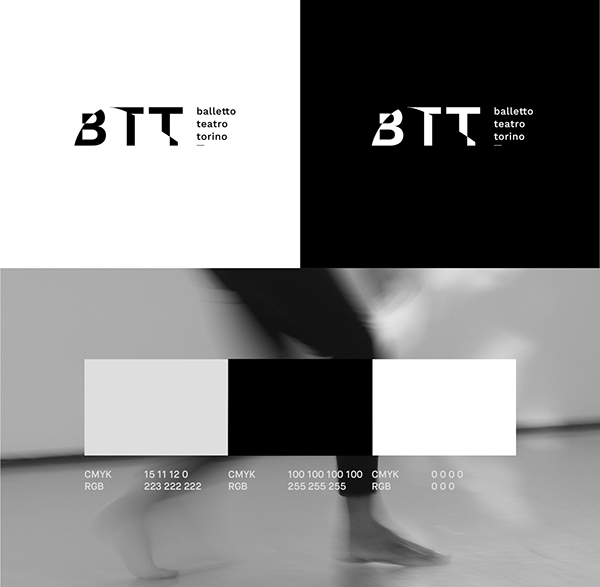 The contemporary dance company Balletto Teatro Torino is strongly characterized by experimental research. 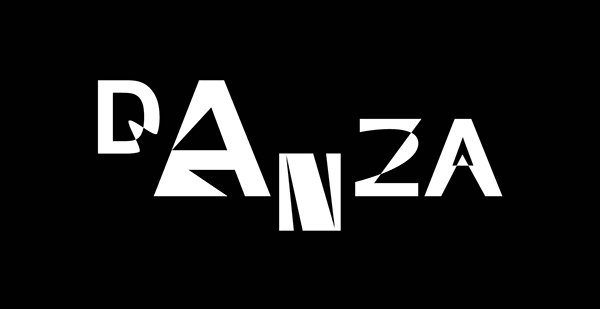 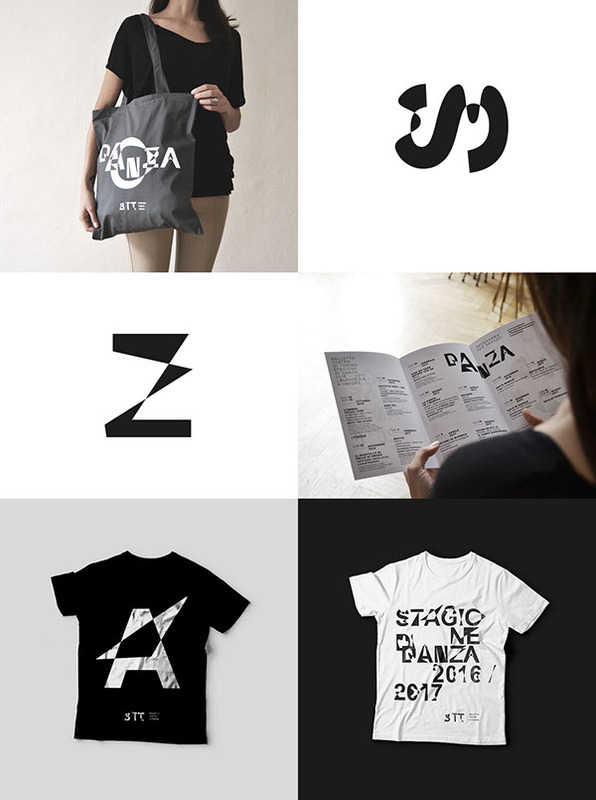 Following this nature, after years of collaboration, we decided to break up with the previous identity. 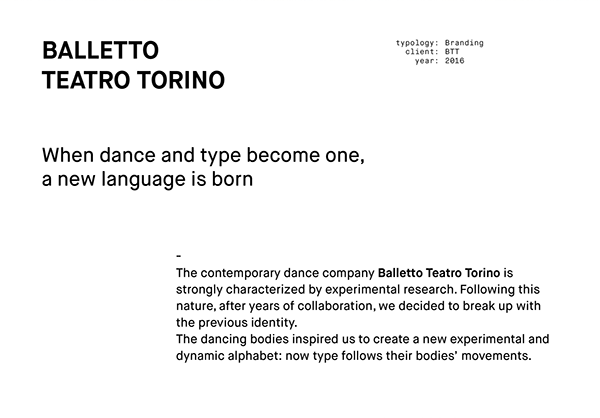 The dancing bodies inspired us to create a new experimental and dynamic alphabet: now type follows their bodies' movements.